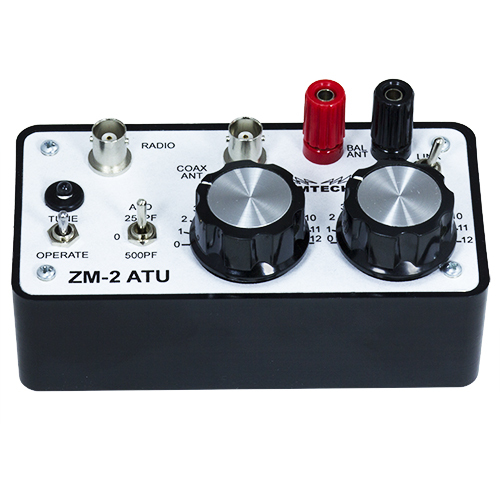 The ZM-2 is a state of the art Antenna Tuning Unit. It is not just another standard tuner circuit repackaged. 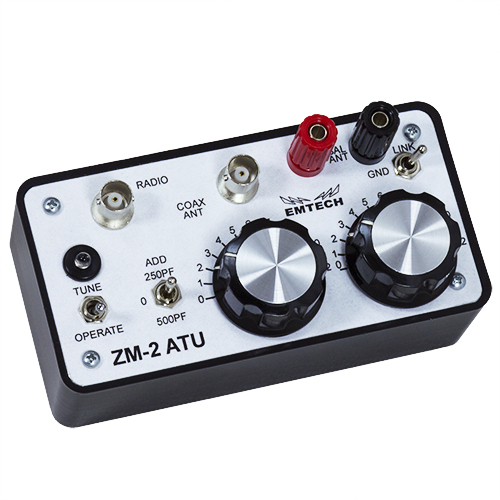 The ZM-2 has no inductance switching to mess with, just two variable capacitors to tune. And most times that is 1 to 1 SWR where other tuners only get close. Just What Will It Tune? The ZM-2 tunes wire antennas: Random, Long, Short, "that's all I had"... It tunes BALANCED fed antennas such as Loops, Deltas, Dipoles, Verticals, V's! From field reports it has tuned: House Gutters, Window Frames, Swing Sets, Bedsprings, etc. It tunes out mismatch in COAX fed antennas to make the radio happy. 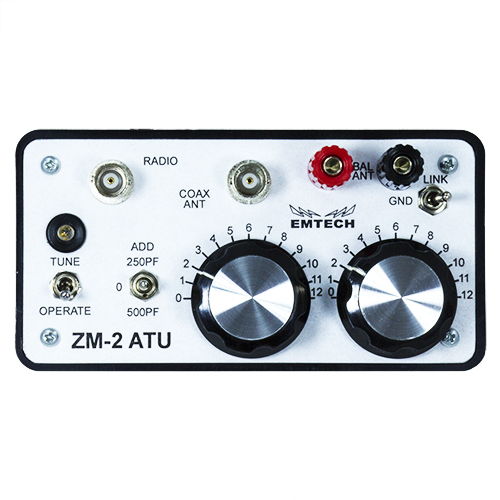 No, the ZM-2 is not an autotuner. But it still tunes fast! Approximate tune time on a strange new antenna is less than a minute! What Bands Will It Tune? The ZM-2 will tune all bands from 80 to 10 meters. How Much Power Will It Handle? Maximum Power is 15 Watts. What About Weight And Size? The ZM-2 is a compact 5-1/16" x 2-5/8" x 1-5/8" and weighs only 8 oz. Great for backpacking.